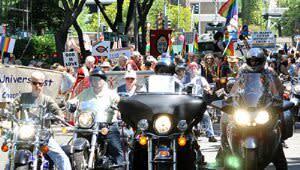 Sacramento&apos;s gay and lesbian community has grown to make the city, and in particular, Midtown, a popular destination for visitors of all interests. Midtown is home to Lavender Heights where various gay-owned restaurants, cafes, bars, clubs, retail and other service-oriented businesses cater not just to the LGBT community, but to the community at large. Many are involved in the city&apos;s gay and lesbian community events. Most importantly, Sacramento welcomes all families to come and enjoy our world-class museums, attractions, events and hotels. LGBT families and our residents are making Sacramento a destination to be enjoyed by all. In Sacramento, we welcome everyone to visit, eat and smile.